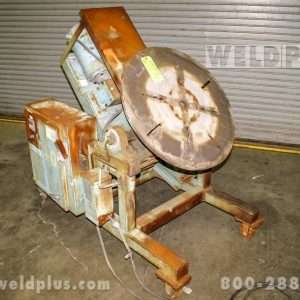 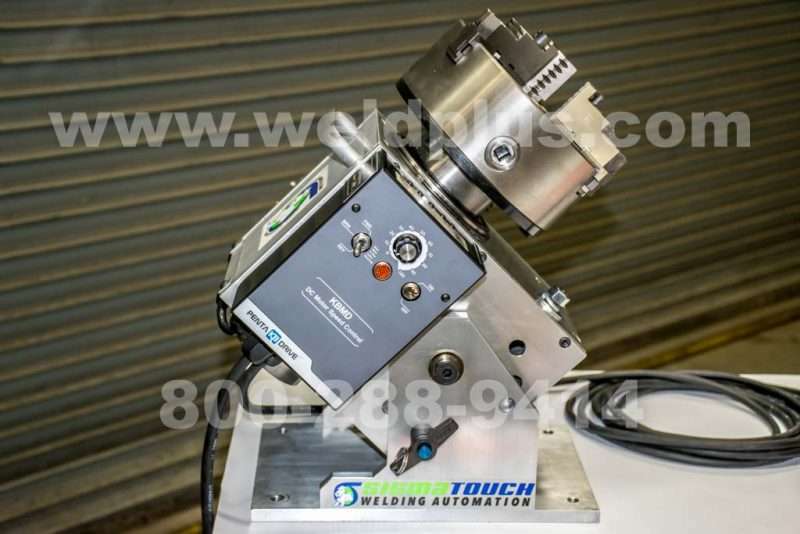 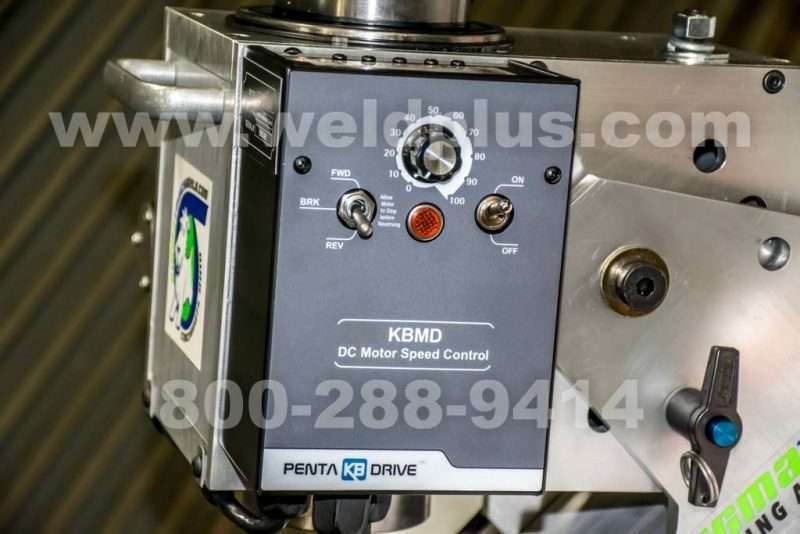 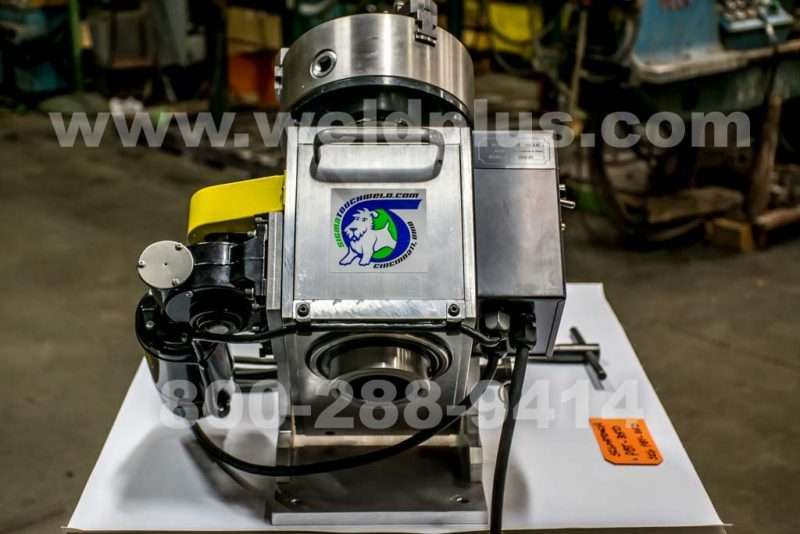 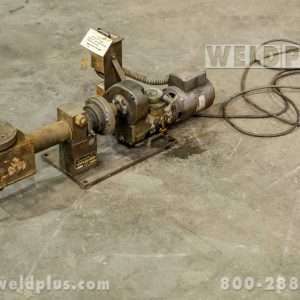 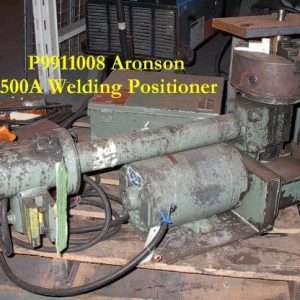 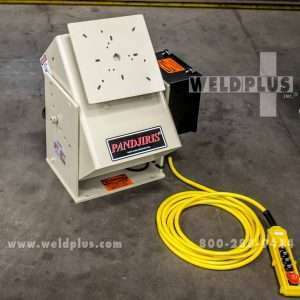 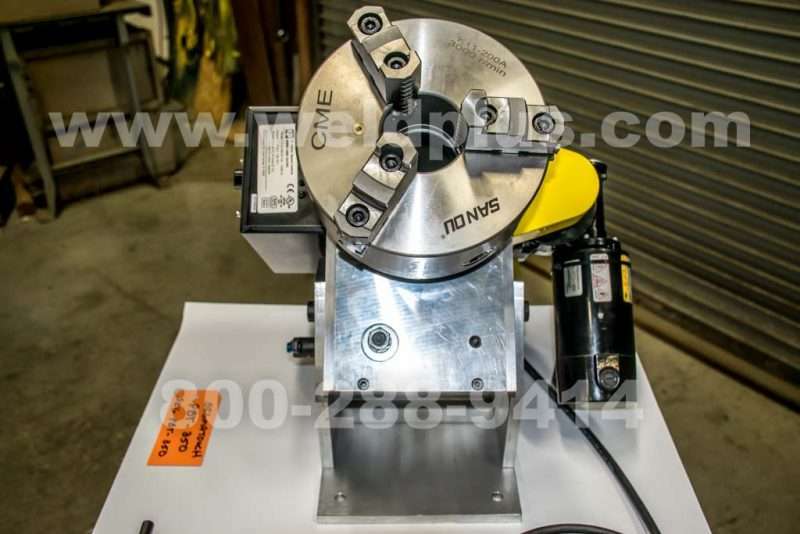 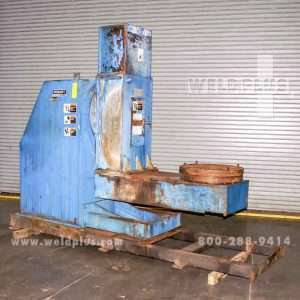 SIGMATOUCH 350 lb Benchtop Positioner | Weld Plus Inc. 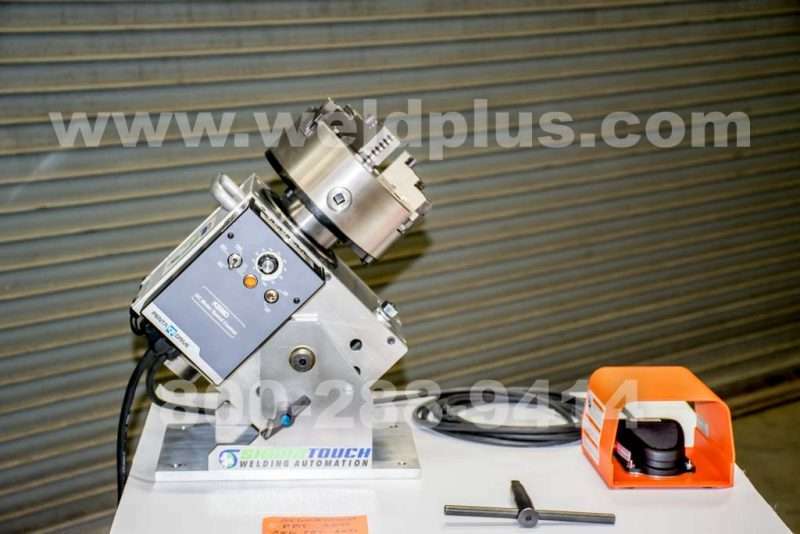 The sigmatouch 350 lb Benchtop Positioner is a perfect option for fabrication shops working with small diameter work pieces. 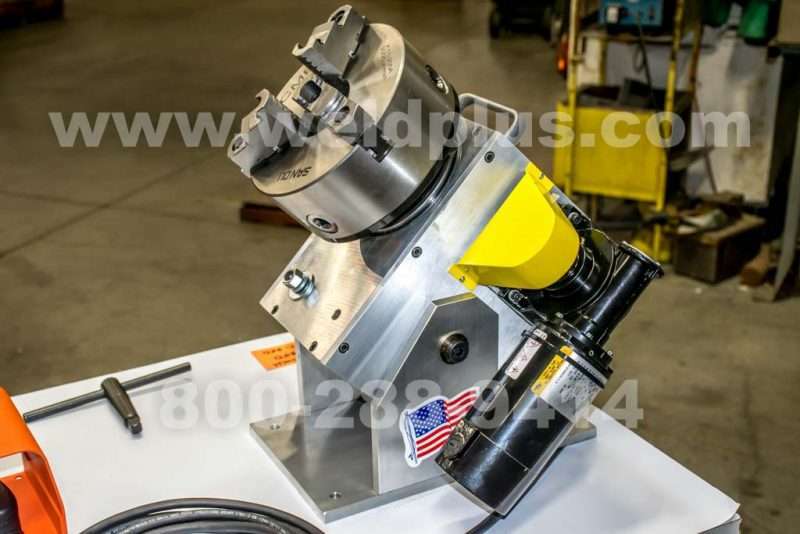 This sigmatouch positioner is built to support up to 350 lbs in both the vertical and horizontal position. 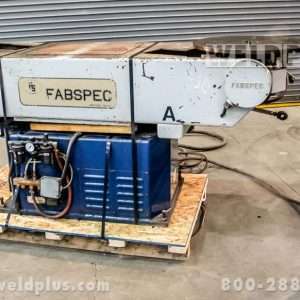 The sturdy all-aluminum frame only weighs 105 lbs. 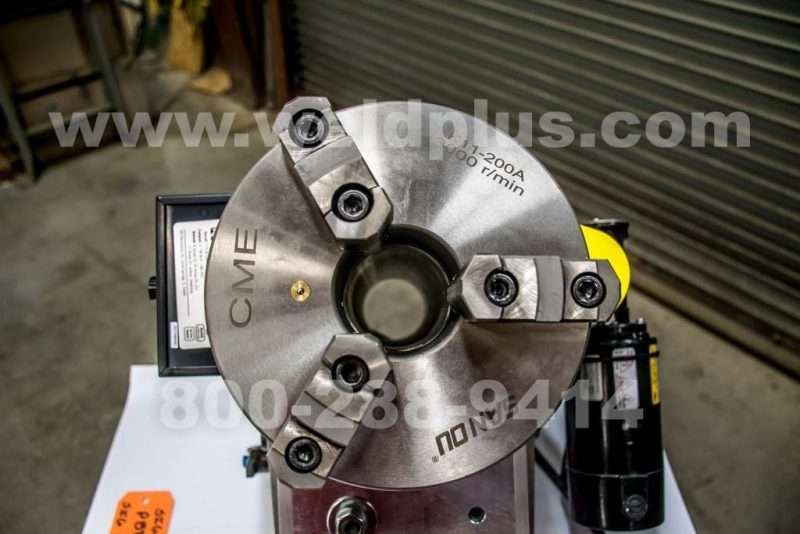 Heavy duty rotation gear and motor insure smooth movement of integrated 3 jaw chuck. 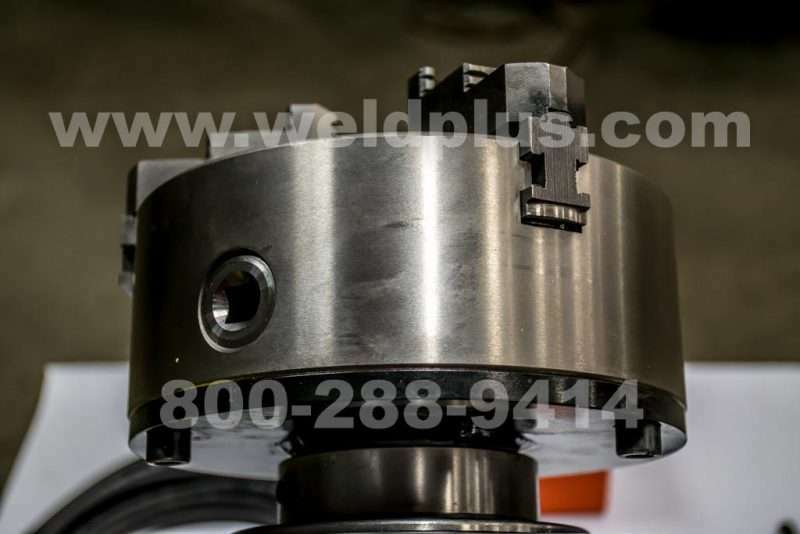 The “lathe style” self-centering chuck includes a 2.5” thru-hole to allow for back purge when welding pipe or tube. 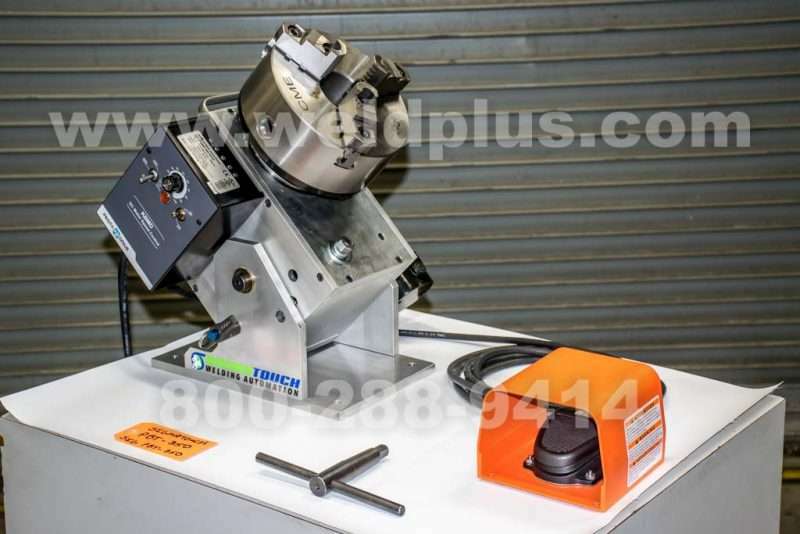 This sigmatouch PBT-350-3JC Positioner combines the durability of a pipe shop positioner and the convenience of a benchtop positioner to offer a great positioning solution. 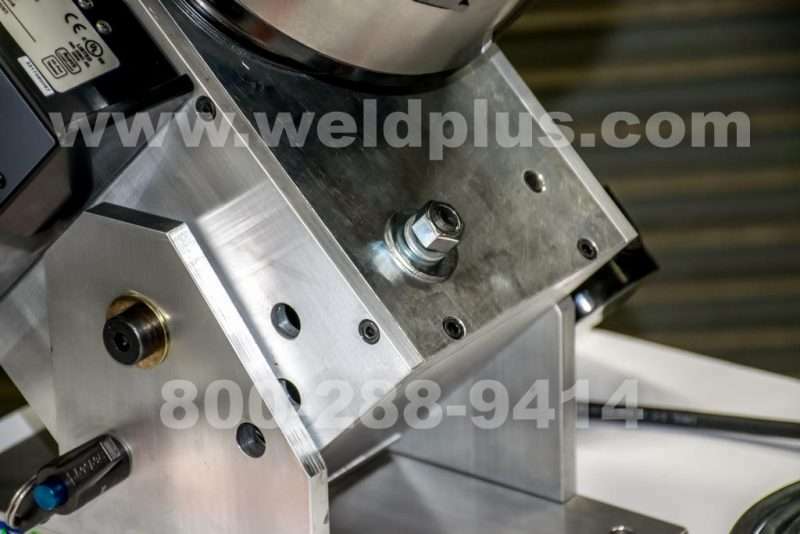 Call Weld Plus today for more info!